Your graphic design project is managed by your own personal project manager, who selects the designer most suited to your project from our in-house design studio. Our team boasts experience in designing for a range of sectors and can tailor a solution that achieves your aims effectively, on time and within budget. 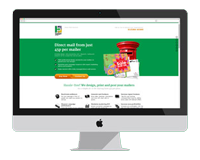 Generate enquiries and increase your revenue using effective design along with tried and tested marketing principles. We recommend the best ways to promote your product or service using our extensive industry knowledge. Make sure your business stationery does your brand justice. The design, material, finish and cohesiveness of each piece of stationery all make a defining statement about you and form a long lasting impression in your customers’ minds. Make it the right impression. Promote your products with high impact posters and purpose made exhibition stands. Whether you require a standard format or are looking for something unique, we can deliver large format print that achieves your aims. Your graphic and print design are part of your overall marketing strategy – we design print materials with your online efforts in mind, to ensure adaptability, consistency and suitability for cross media marketing. Please contact us today for graphic and print design that commands attention and secures sales.